Let's make it official. The council ward races are almost a year off, people are beginning their holiday season and the latest political operation to attack council members who refuse to bow to Mayor Ravi Bhalla and capitulate without question or even a lone dissenting vote is well underway. As witnessed, we've already seen this odd tack of attacking an individual councilman for a lone differing vote of no consequence. In a very publicized prior instance first reported on MSV, Councilman Jim Doyle found himself at the end of an attack in a TV commercial for being a lone dissenting no vote. That came courtesy of Ravi Bhalla's construction union allies on the Hilton Hotel vote. Here's the footage of the latest Trojan Horse stand-in orchestrated right out of the mayor's office during public portion. This is about 180 degrees from how the dignity of the office was managed by former mayor Dawn Zimmer who made an appearance on the outgoing community development director Brandy Forbes. But let's return back to the scene of the crime with one Anthony Deeretardo (sp?). There are several obvious giveaways on the latest would-be attack dog for the Ravi Bhalla Administration. First the video clip from last night's meeting. This performance art read from a preapproved script (take a bow John Allen) alleges it will be addressing ethics. This, originating from the very ethically challenged, two-timing job oath breaker and an employee ripped off with the NJ Supreme Court just shy of law license being suspended for the Law Office of Ravi Bhalla. Stop laughing. Race baiting is about to become the mayor's chosen tool to issue political payback to the former Hoboken Democrat Chair, ally, and second ward councilwoman Tiffanie Fisher. It begins with a ham-fisted allegation that there is an "audacity" of attacking Hoboken Police Chief Ken Ferrante (who would with no small irony be awarded by the same council a 10K raise elevating his salary to over 200K). The alleged attack apparently consisted of some social media comments by Councilman Mike DeFusco and questions submitted in writing by Councilwoman Tiffanie Fisher about the Ravimobile. Amounting to nothing on the security aspects voiced, the pre-written remarks deem it "undermining the work of the police department" and it has "set off political vendettas." Huh? Wheely? How rich is the irony, pardon the pun does it follow with the council seeing the Hoboken Police Chief made the only local public official earning over $200,000 a year with a raise later in the very same meeting? This of course, has nothing to with any alleged "undermining" or "political vendetta." It has everything to do with the very embarrassing revelation the Ravi Bhalla Administration purchased a gas guzzling 2018 Ford Expedition for $63,000 and has used it with an HPD security detail to take his kids to school, a political junket to Atlantic City and that most dangerous hood known in the Soprano State as the NJ governor's mansion. This three-minute hit job manufactured out of the mayor's office, however, wasn't done. This was the opening act. Act I claimed defending Chief Ferrante's "name" but it's unmistakable the name that is reacting and lashing out. Ravi, how ya doin? Act II was a charge of the council "attempts to obstruct" Hoboken government. Reference was made to an ordinance passed on first reading later that evening about a reduction of mayoral aides from three to two under the state of New Jersey guidelines. Mayoral aide Jason Freeman is named as being a target of the proposed ordinance. Only Jason Freeman is not a target of any ordinance let alone the one being sponsored by Councilman Mike DeFusco. The ordinance pending at the next meeting says the NJ State guidelines must be two mayoral aides and not three, an increase in political bodies Mayor Ravi Bhalla performed as one of his first acts becoming mayor. Unlike former mayor Dawn Zimmer, who operated with one mayoral aide for a mere 35K in her first year, Ravi Bhalla began busting the budget adding hundreds of thousands in cost to the mayor's office. Dawn Zimmer began as mayor by REDUCING the budget of the mayor's office by over $400,000. Yes, impressive. The political operative op calls the proposed ordinance, "politics of personal destruction" which impacts none of the three mayoral aides in actuality. If approved, it will only take effect if and when one of the three mayoral aides currently on the books leaves; then the proposed ordinance would restrict the mayor from hiring another new, third mayoral aide. Is the real origination of the whining starting to become clear? The stilted delivery, unable to read the prepared speech handed to him is only a hint. There's more. Hey, John Allen when you meet to coach this guy, can you at least make sure he can pronounce the word "hypocrisy." He had trouble reading from your script. Then the race card is dealt right from the bottom of the deck against Councilwoman Tiffanie Fisher. First, the John Allen political operative tool begins by pointing to Jennifer Gonzalez who was approved by the council months ago in her capacity acting at City Hall. This is intended to be part of a litany of race-baiting attacks but there's only one small problem. Ms. Gonazalez's father is from Spain and this isn't the best basis to initiate a race-baiting attack. Worse, that little race baiting faux pas is doubled as leverage with Chris Brown who was up for council approval later the same evening. Councilwoman Fisher's comment that Hoboken has "the opportunity to reposition this role and make it bigger" after Forbes' departure and that she wanted "to better understand Chris' qualifications" has been despicably used to lob ugly smears she is racist. That attack was generated and appeared on the Ravi Bhalla paid political operative website only days earlier. Disgusting stuff below the worst ever appearing on Hoboken411 in its heyday. The tell in the John Allen operation here is the reference to any personnel choice of the mayor even being questioned. You know Ravi Bhalla, Hoboken dictator, grand poo-bah and the mere suggestion of wanting to learn more about a candidate's qualifications means, yes you guessed it, racist! That's the game plan and they're sticking with it. Notice the reaction of the man visible in the first row at the 2:09 mark. He looks rather unhappy with this gross performance being directed out of the mayor's office about inferred racism against "a Hispanic, African-American and a Sikh." Is that right? Yes, we're about two minutes in and we're nosediving right into the gutter. The stupid race-baiting leads to feigned fear of this "turning into a lawsuit" against the City. Chris Brown would later easily be confirmed as expected with a lone abstention by Fisher related to timing for council interviews and a desire for an interim designation in the position. Hardly earth shattering let alone racist. MSV invites John Allen and Ravi Bhalla to explain how people being hired by our local government (and approved by the City Council) can lead to a lawsuit alleging racial discrimination? John Allen is a lawyer, soon to be departing to practice law so MSV welcomes his explanation on this buffoonery. This political operation ugliness would follow in public portion with more directly planned racist tirades from bomb-thrower Patty Waiters. She alternates calling her failure to win elected office by attacking the Hoboken BoE and City Council as racist. Last night, she directed a similar tirade toward Councilwoman Tiffanie Fisher who voiced her willingness to take legal action for any such slander. Well, when you use a tool as in the past, (HHA anyone), that's the whole idea. 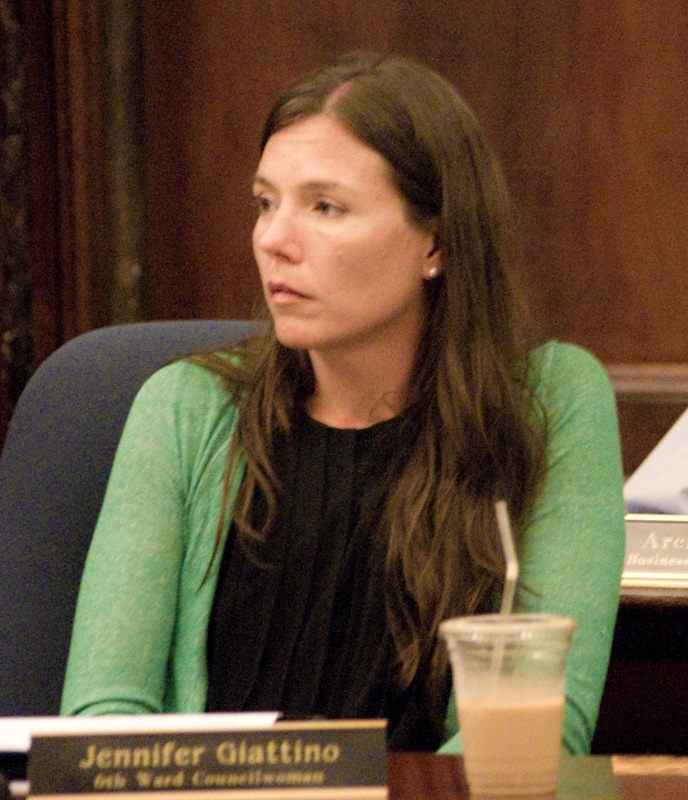 Should Hoboken expect more race-baiting and worse being directed out of the mayor's office? More on this as MSV breaks it down. Yes, there's more. to catch the tail end of a race-baiting attack on Councilwoman Tiffanie Fisher. were both owed apologies for the political operation deployed last night. Talking Ed Note: Council VP Jen Giattino spoke to a policeman outside the chambers during public portion and returned to hear portions of the Patty-Deeretardo high-fiving orchestrated attacks. She came out with her strongest remarks and condemnation of the behavior spanning her seven years on the council. So John Allen/Ravi Bhalla, your move. Own it.